How do I pay, and is it safe? I don’t have a PayPal account. Is there another way I can pay? Paypal will give you the option to pay directly with your credit or debit card, without signing up for a PayPal account. Otherwise – no, not at the moment. Why aren’t there any MP3s on the site anymore? We have stopped selling MP3s on our shop. Our entire back catalogue is available extremely cheaply through our BandCamp site, in various formats, with digital booklets and lyrics. Check it out here. At the moment our postage cost is £1.50 – for every order, regardless of where you are. This isn’t a big money-making operation – this is us, getting our music and merch to people who like our band, as cost-effectively as possible (and yes, obviously we’ll be happy the more we sell – it all goes back into the band!). When will my stuff be sent out? We generally send out all orders within 1-3 days of receiving them, with the exception of weekends and bank holidays. We post all orders out 1st Class with Royal Mail – meaning you should recieve your order the same week, at the very least. My order hasn’t arrived/I got sent the wrong item/size, what should I do? 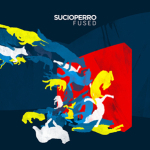 If there’s a problem with your order, don’t hesitate to get in touch with us – just e-mail shop@sucioperro.com with all the details relevant to your order and we’ll sort something out. Can I place an order for such-and-such an item if it’s out of stock? Unfortunately not. 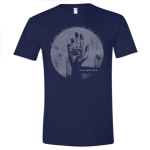 All the items available in the shop are the same items we take on tour, the same items we recieve from record distributors, t-shirt printers etc. etc. Once something is out of stock, it’s out of stock. If we ever get something re-pressed or re-printed, it’ll be put back online.